WASHINGTON, D.C. (March 3, 2015) — U.S. Rep. Keith Ellison (MN-5) released a statement Thursday in response to the assassination of Berta Caceres in La Esperanza, Honduras. 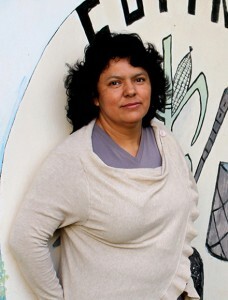 Caceres was an activist who advocated for the rights of indigenous Hondurans. She was awarded in the Goldman Prize in 2015 for her work in stopping the construction of a dam, which would have deprived the Lenca community of food, water, and medicine. “I am shocked and saddened to hear that Berta Caceres was assassinated last night,” Ellison said. “It takes a special type of bravery to risk your life fighting for justice. Berta knew her life was in danger, and she fought anyway. She put everything on the line by standing up for the indigenous people of Honduras. The least we can do is stand with her.